How do you improve a product that’s got so little to prove? 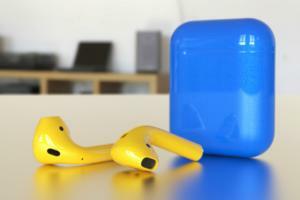 To get the current AirPods in a color other than white, you have to go to a third-party such as ColorWare. Colors. Yes, I know, since the first days of the iPod, the classic Apple headphones color has been white. It will ever be thus. But: Did you notice how excited people were for the black keyboard, trackpad, mouse, and Lightning cable that came with the iMac Pro? I don’t expect Apple will add six rainbow colors to the AirPods—that’s a lot of different colors to stock and keep track of—but adding a black model and perhaps a special edition (Product RED, anyone?) would be a lot of fun. The HomePod comes in black and white, so why not AirPods? Alternative ear fits. The biggest complaint I hear about AirPods is not about their functionality, but about their physical shape: “I tried them and they were great, but they kept falling out of my ears” and “They made my ears hurt.” The design of the AirPods case, which fits their shape exactly, would seem to suggest that it’s unlikely that Apple would ever offer swappable tips or even a range of sizes. Perhaps the rumor that Apple is working on its own Apple-branded wireless headphones suggests that Apple’s solution to AirPods not being for everyone is to make an over-ear alternative. But I don’t want to give up hope just yet. 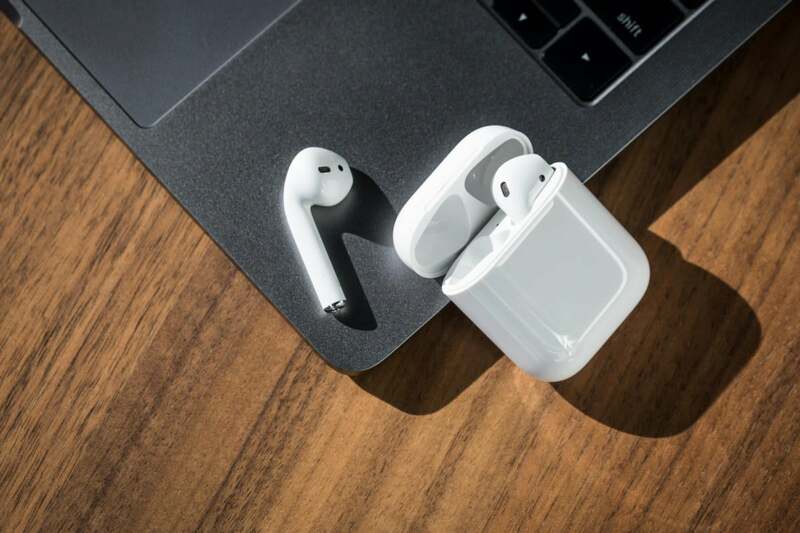 The AirPods case could be redesigned in future versions to allow the stems of the headphones to slide in for recharging while providing a little more headroom for different shapes and sizes. I admit that it’s not a likely scenario, but I want to believe—there’s a reason, after all, that many makers of earbuds and canalphones offer a few different styles of swappable ear tips so that users can find the most comfortable fit. Touch sensitivity. It’s great that you can now double-tap on either AirPod to perform different tasks that you assign—I’ve got Play/Pause set for my left ear and Next Track set for my right. But I will admit, it’s still not a great feeling (or sound) to thump on my eardrum a couple of times in order to do anything. Yes, adding support for “Hey Siri” will allow me to talk to my AirPods instead of tapping my ears, but sometimes you don’t want to be the person talking to their headphones in public. So what about taking a page from the trackpad and adding touch-sensitive gestures to the AirPods? I would enjoy advancing tracks or adjusting volume by sliding a finger up or down the stem of an AirPod, or grabbing it and sliding my fingers around it as if turning a dial. Adding touch sensitivity to such a small device would require some spectacular miniaturization, but wouldn’t it be great if Apple was up to that challenge? Improved sound. The AirPods sound pretty good, but they could always sound better. AirPods are all about relaying sound, so audio quality should always be a major consideration when it’s time to upgrade the hardware. I wonder about improving the sound isolation of AirPods; as someone who is used to using in-ear monitors, the AirPods feel incredibly leaky in terms of letting in outside noises. In most contexts, though, that’s a good thing—when I’m on the bike path listening to a podcast, I feel more secure because I can also hear the world around me. More isolation would be great for flying on a plane or mowing the lawn, but not when I’m walking the dog or running or biking. Then again, Apple’s got some incredibly clever engineers. 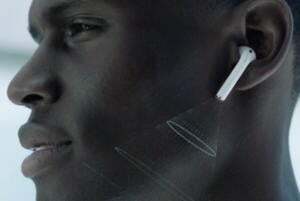 What if AirPods with more noise isolation could contextually pipe in outside audio via their microphones and mix it with the audio from your iPhone or Apple Watch? It could be a way to split the difference. But that seems like a feature that’s pretty far off. Smaller stems. I’ve gotten used to them, but some people still think the AirPods look funny. Making the stems smaller would make the entire product a little less visible. The problem is, the entire product is basically in the stems: that’s where Apple’s is hiding the electronics, the battery, the works. I’m pretty sure Apple’s usual impulse to design every product it makes to get smaller over time will lead Apple to attempt to make the stems of AirPods less long eventually, but it might also take awhile. Standalone functionality. You can see where this is going. It’ll probably take a long time, but who’s to say that AirPods won’t one day become their own self-contained devices, like very small HomePods? One of the best arguments for wearing a cellular Apple Watch is that you can leave your iPhone at home when you run; now imagine not even needing the watch to listen to music and stay connected with the Internet. Again, this is a long-term wish list item, but given how quickly Apple is pushing forward with its wearables, it seems like something we could see in the next decade.